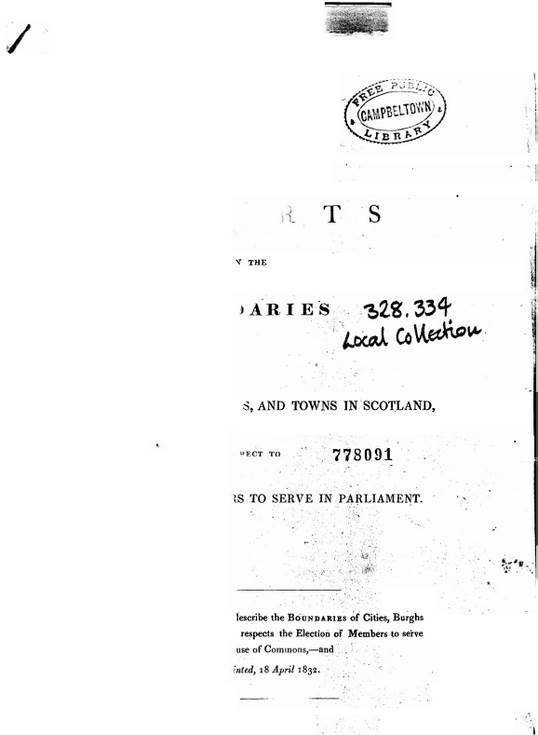 Report on the Burgh of Dornoch, dated April 1832, describing the population, no. of houses and assessed taxes, with map showing boundaries of the Burgh. Report obtained from George Murray, Surveyor of Taxes. 3 stapled pages.